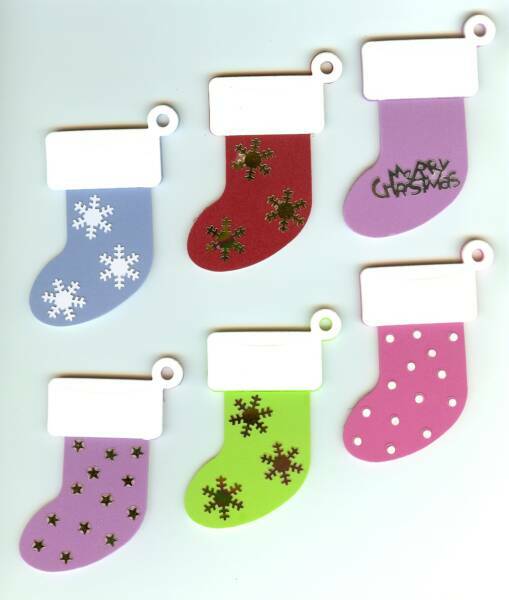 Assorted Gift Tags. Comes in present, ornament or stocking styles. Comes complete with hang ties. Tags measure approx. 1 3/4" x 2"
Stockings measure approx. 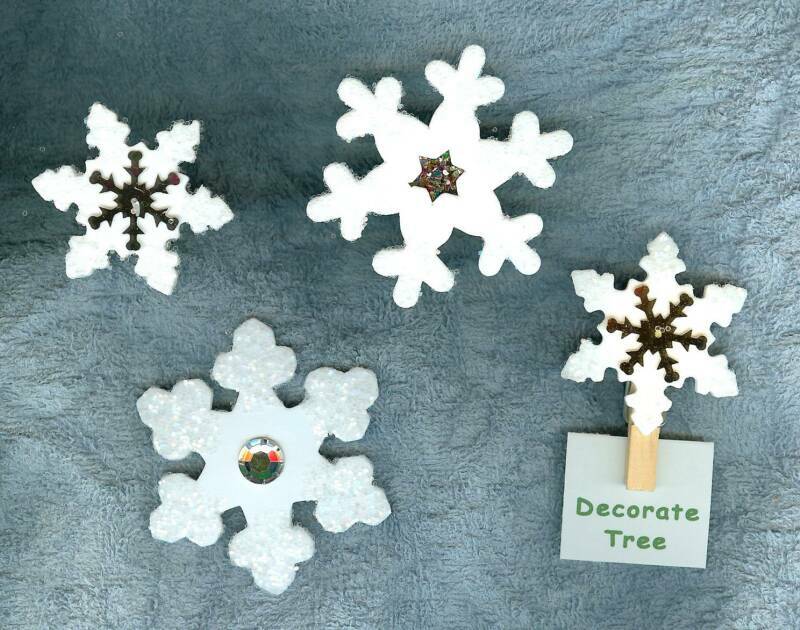 2" x 3 "
Choose from present , ornament and snowflake designs. 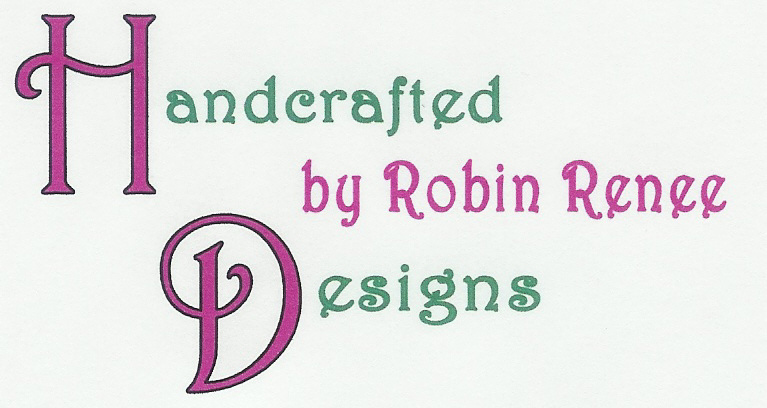 Comes in many different designs. Note Holders are magnetic. Pins, Magnets and Peel-N-Sticks measure approx. 1 3/4" x 2". Note Holders measure approx. 1 3/4" x 2 1/4". Made of foam and/or fabric. Individual packaged. The holidays will be here before you know it. 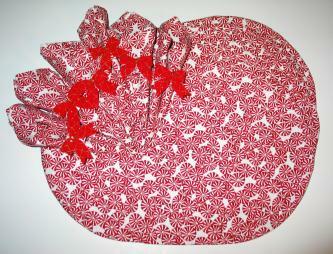 Choose between oval or rectangle shaped place mats. 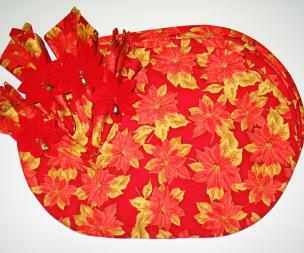 Three piece place mat set includes 1 place mat, 1 napkin & 1 napkin ring.